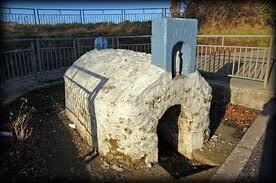 Did you know that St. Patrick established one of his first churches in Coolmine? Or that Corduff Park was highly populated 1500 years ago? The Castles, Forts and Holy Wells Exhibition, composed by archaeologist Christine Baker (Fingal County Council's Field Monument Advisor) will open at the Blanchardstown Centre on Friday 12th October, and run until Wednesday 24th October before moving to the Civic Offices at Grove Road (until 9th November). 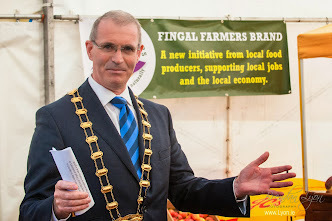 The exhibition will be officially launched by Mayor of Fingal Cian O'Callaghan on Tuesday 16th October 2012 at 12.45pm at the Blanchardstown Centre. Christine Baker said " The south-west corner of Fingal is not readily associated with archaeology and heritage, however there are 90 archaeological monuments recorded with Dublin15, giving us a rich source of information about the past, which deserves greater recognition". She continues "We have some wonderful information at the exhibition which will hopefully capture people's imaginations: how tall were people from around Castleknock from the 10th Century; where to find the water of nine cures; how Goddamendy got it's name and where a coin from 967AD turned up." The exhibition highlights the archaeological remains of what we may walk by or not recognise, to illustrate the story of Dublin 15 from the earliest times - the forts of Corduff, the mottes of Newtown, the Castle of Knock, holy wells at Mulhuddart and St. Catherines, the churches at Coolmine, Abbotstown and Cloghran, and also burials of River Road. By raising awareness and encouraging a sense of ownership of these monuments within the community it is hoped to protect them from vandalism or removal, and to reconnect communities with the richess of the archaeological resource that surrounds them. As part of this project, Christine Baker will also be giving a talk on the archaeology of Dublin 15 in Blanchardstown Library at 2.30pm on Saturday 20th October, in conjunction with the Fingal South-West Heritage Society. Rebecca Martin of Blanchardstown Town Centre said "Its very exciting to have this exhibition in the shopping centre, and hopefully it will reach new audiences."